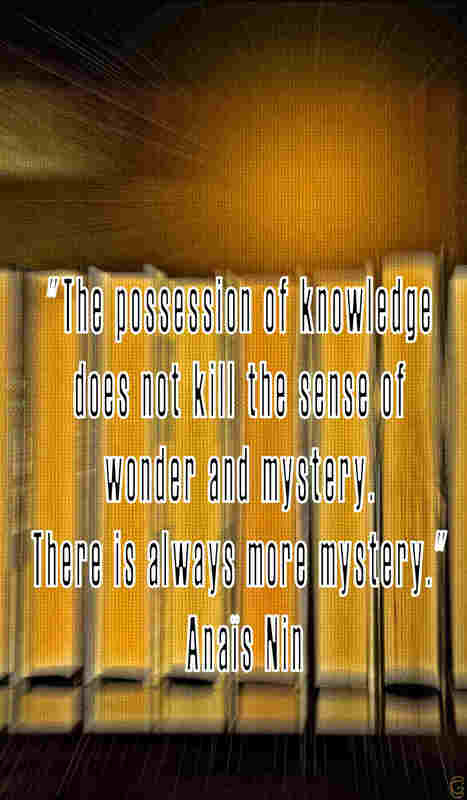 In fact I would say there is knowledge as well as wonder and mystery existing together on this bookshelf. 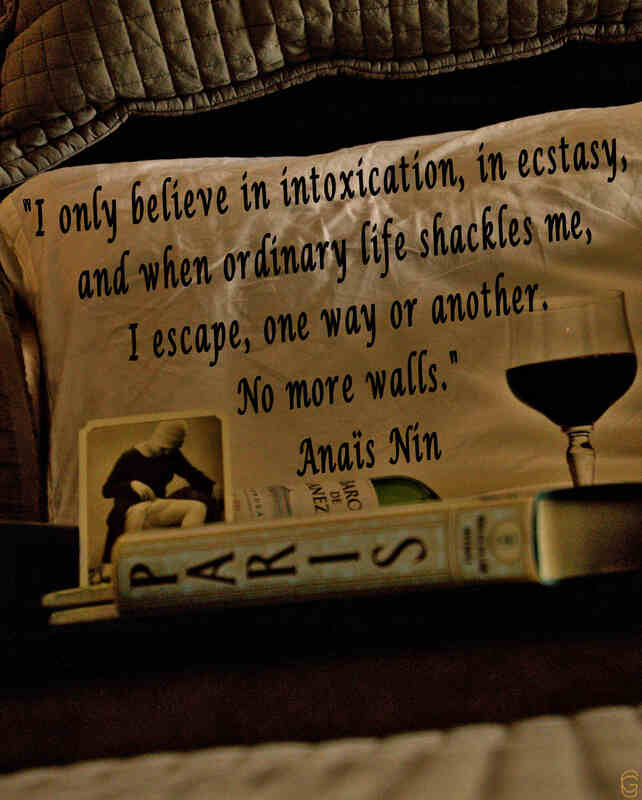 A little pillow talk with Anaïs Nin seemed appropriate for wine Wednesday and this quote. 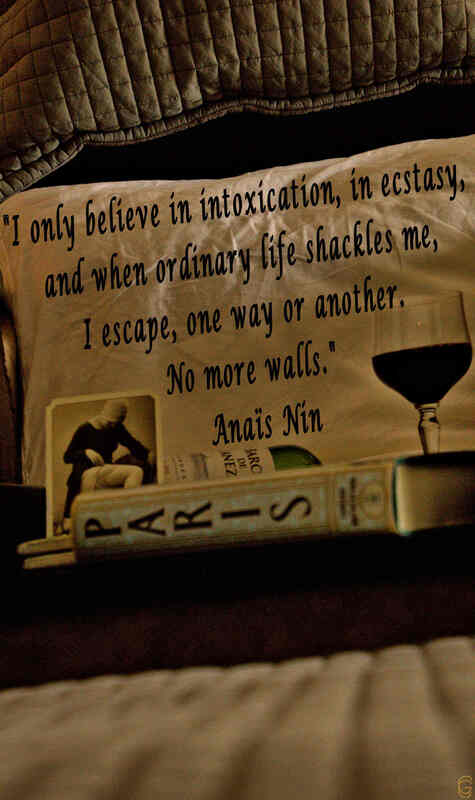 When ordinary life shackles me, I escape to bed with a good book and a glass of wine or to my writer created life / world. 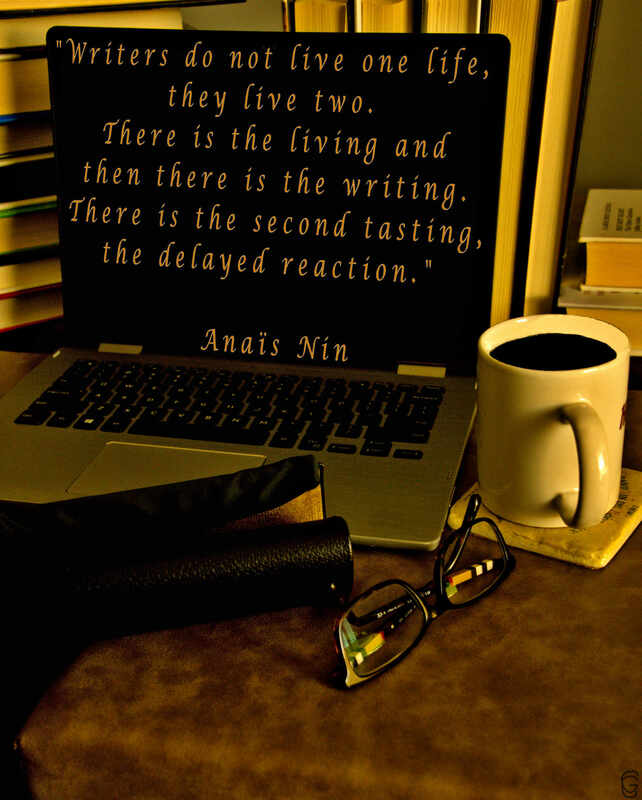 Anaïs Nin’s way, however, does sound a bit more exciting. Maybe I’m getting too old. 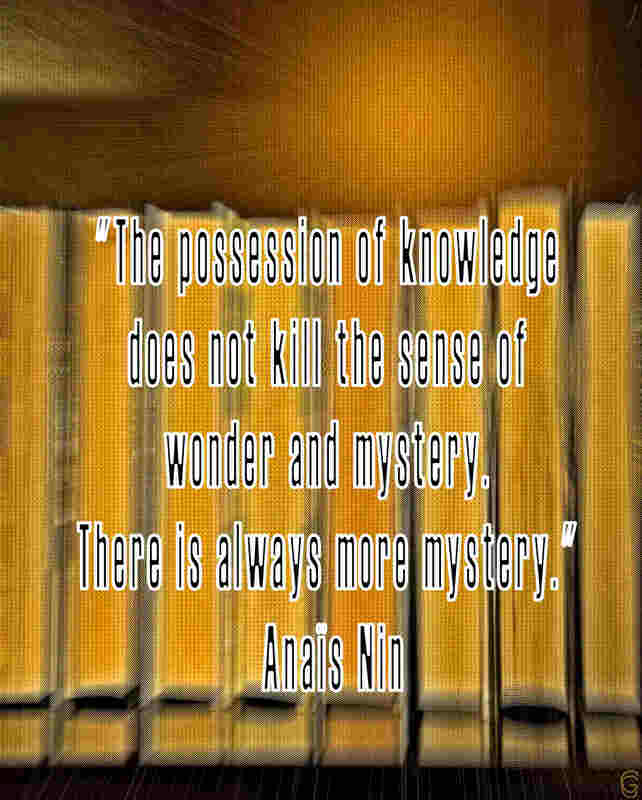 On a side note, when I work with quotes, ones from Anaïs Nin, through the years, have often stood out to me. In this picture, however, is a card that I have used for many years as a bookmark. Guys may notice it first and understand. While liking Ms. Nin’s quotes and my bookmark for ages, it was only some time ago that I found out the card is actually the book cover for the book, ‘Delta of Venus’ written by, of course, Anaïs Nin. Coincidence, I think not. Side note number two; I used the book, ‘Paris’ by Edward Rutherford because it was my closest tie in to where Anaïs Nin was born. She was born in Neuilly-sur-Seine (and, to be best of my knowledge, no one has written a book named, Neuilly-sur-Seine), which touches Paris to the west and is one of my favourite places. Coincidence number two, I think not. Side note number three and, I promise, last one. This is more of an sudden inspiration though. 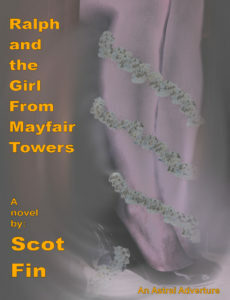 Currently I’m working on a prequel to my book, Ralph and the Girl From Mayfair Towers. I also have planned a sequel. Having lived near Paris and vacationed there from Canada many times, however, the sequel is planned to take place in Paris. Maybe it could be Ralph and the Girl From Neuilly-sur-Seine. Hmm. 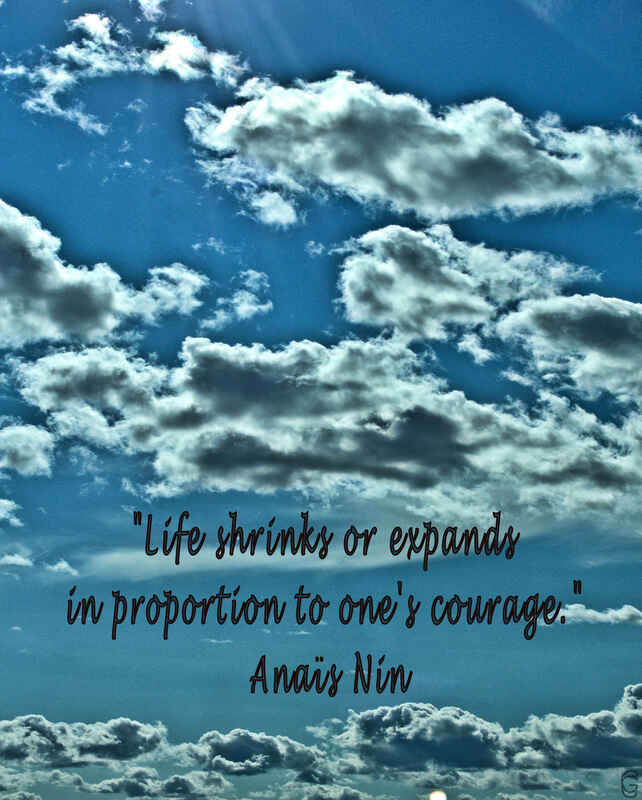 No extra courage from me to continue on with a week of Anaïs Nin quotes, especially when it’s a profound one like this. 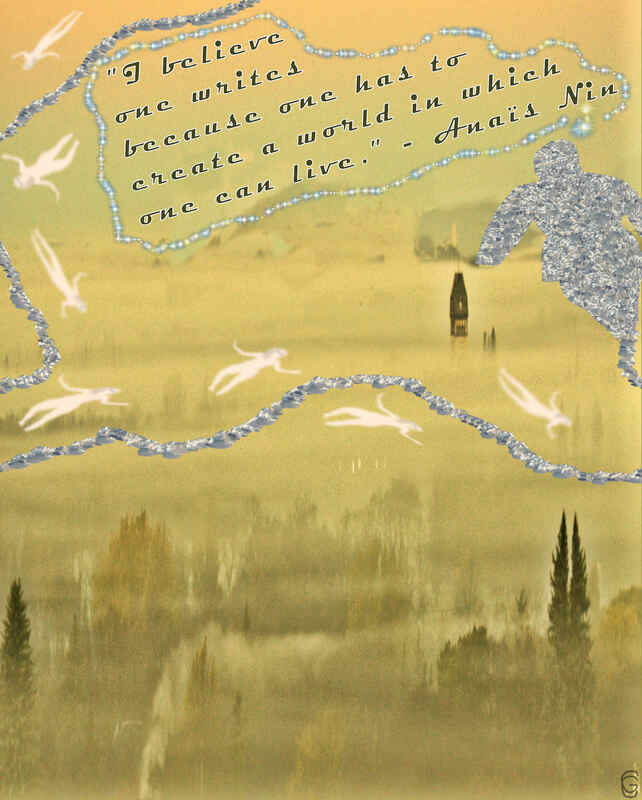 Someone, however, had an Anaïs Nin thought whilst living in one of those created worlds. 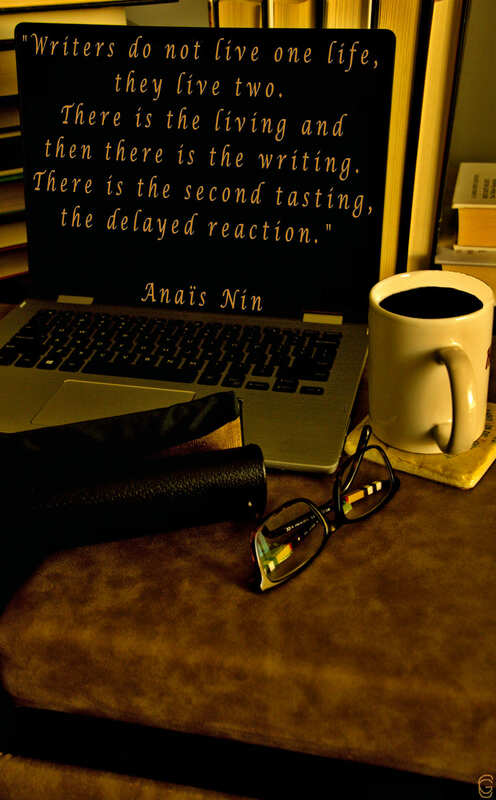 Books and coffee also with Anais Nin quote. Pillow quote as well as wine. Foggy scene with Ralph as well as quote.